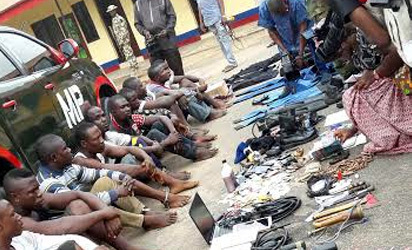 The Nigerian Army has arrested 10 suspected militants and pipeline vandals in the Niger Delta region. The Commander, 4 Brigade, Nigerian Army, Benin City, Brigadier General Farouk Yahaya, while addressing newsmen before parading the suspects, said that they were arrested during a cordon and search exercise conducted in Oporozoa community and its environs in Delta State. 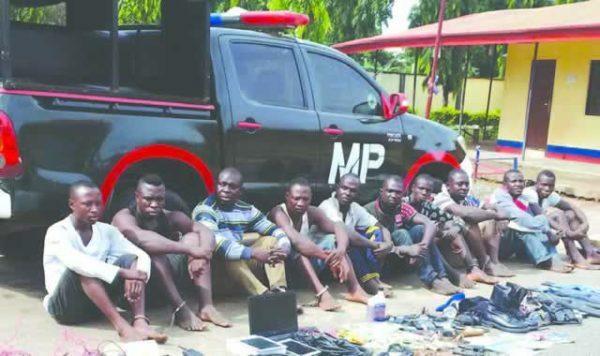 He affirmed that the arrested suspects may have links with the Niger Delta Avengers militant group as guns, ammunition and other equipment were recovered from them. Brigadier General Yahaya maintained that the operation was conducted professionally in line with the code of conduct and rules of engagement of the Nigerian Army. The Army also reaffirmed its commitment to tackling pipeline vandalism in the Niger Delta region.